Well, we come to another Memorial Day. This is one of my favorite federal holidays. This is the day that we have designated to say thank you to our brave men and women who serve in our military. 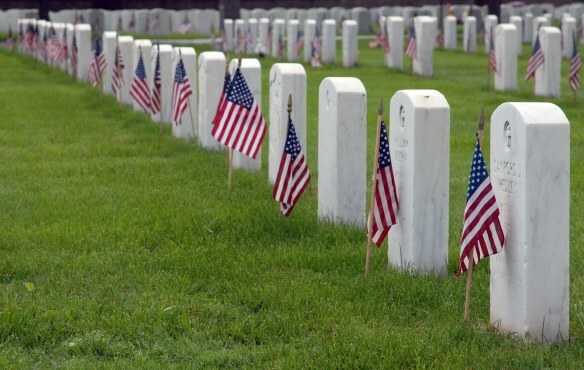 Not just the ones serving at this very moment in lands far away, and in areas of great peril, but more importantly, we say thank you to the memories of those soldiers that have made the ultimate sacrifice; the soldiers that have died on the field of battle. I fancy myself a pretty patriotic person. I may not agree with most of what our government is about a lot of the time, but that has never affected the way I view the men and women who wear “The Uniform.” I spent some time in the military myself. This probably adds to my patriotism a bit. Next Post Not Personal? Like Hell. Bottom Line? So NOT Okay.